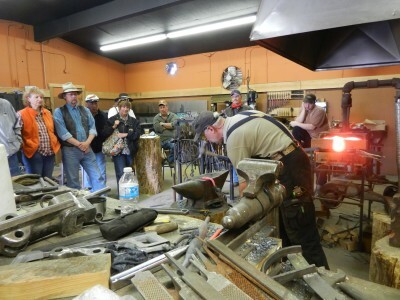 The Western Canadian Wheelwrights’ Association invited David Barrett to demonstrate blacksmithing skills at their annual meeting, this year taking place at Fort Steele near Cranbrook BC on Saturday May 26 2012. 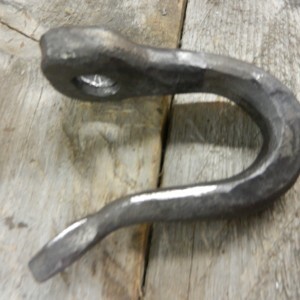 He forged a harness hook, traditionally used to join horse harnesses to shaft staples. This is the second time David has been asked to demonstrate. 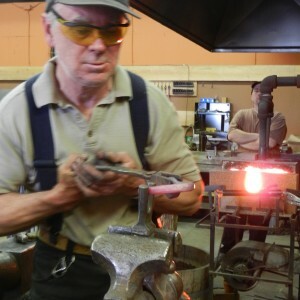 In 2009 he made a buggy step. 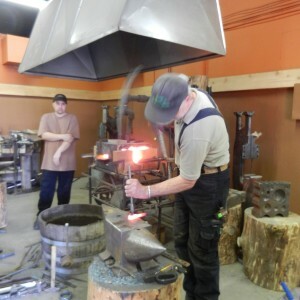 Fort Steele is a heritage town site and interpretive centre, containing restored and re-constructed buildings from 1890 to 1905. 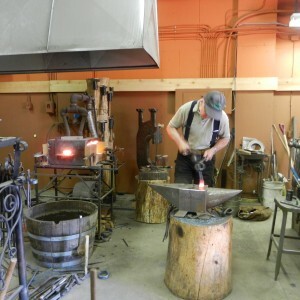 However, David’s demonstration was held in the blacksmith’s production shop (not open to the public) rather than the traditional blacksmith’s shop with coal forge and hand operated bellows.